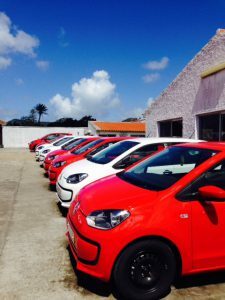 Autocunha was founded in 1992 as a car stand on the island of São Miguel, Azores and in 2007 it diversified the business for car rental. It currently has branches in Ponta Delgada (headquarters) and in the city of Porto, with the aim of continuing to grow at the national level. Our mission is to provide a friendly and uncomplicated service, betting on the quality of its human resources as well as its products, guaranteeing satisfaction and safety so that its clients do not have to worry about anything, besides enjoying their trip. Our values are people-centered, fostering an informal and friendly environment among colleagues, who will then be transferred to their clients with transparency and humor. Simplicity will be the best word to describe us, we believe it will make life easier for everyone. I agree to send this information to Autocunha. 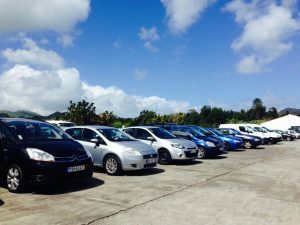 Autocunha Car Rental is a company dedicated to the rental of vehicles based in the Azores, São Miguel and also with a branch in Porto. We have a wide range of new vehicles at your disposal, also offering the possibility of delivery and collection at different points.